Subject: LongIsland.com - Your Name sent you Event details of "Long Island Bridal Expo Super Show"
Free Admisson and Complimentary Food for all attendees. The Long Island Bridal Expo Super Show features over 70 exhibitors with a complete array of wedding related services including Photography, Videography, Florists, Bands, DJ,s, Cakes, Invitations, Favors, Limousines, Gowns, Tuxedo's, Catering Halls, Event Planners and more!!!! Brides and grooms will be treated to a spectacular fashion show of designer gowns. There will also be a showcase with the finest DJ entertainment featuring Long Island Sound and Tommy's Tunes. Enjoy free admission, free parking and complimentary food tasting courtesy of East Wind Caterers. 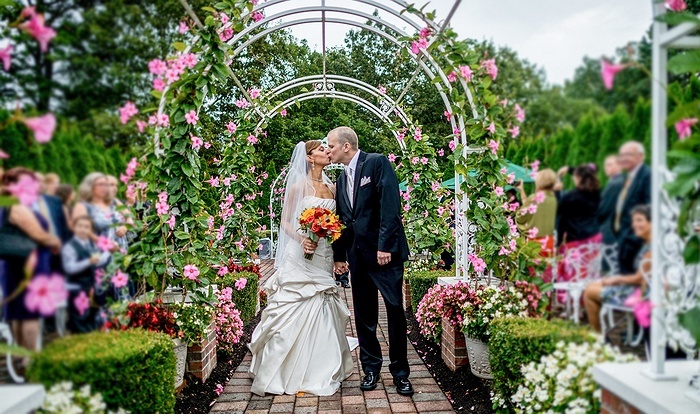 The Long Island Bridal Expo Super Show will be held at The Inn & Spa at East Wind in Wading River. You will be able to tour their event spaces including The Cottage, perfect for an intimate gathering. The Estate, a modern manor that exudes elegance or the Inn at East Wind with its Veranda ballroom overlooking the grand staircase and featuring an outdoor cocktail space. Finally, there is the Southampton, Northampton and Grand Ballrooms, each offering a variety of options for events of all sizes. In addition to these wonderful event spaces, they provide overnight accommodations and full service spa and salon. At the Long Island Bridal Expo SUPER SHOW, You Will Find Everything For Your Wedding Under One Roof!